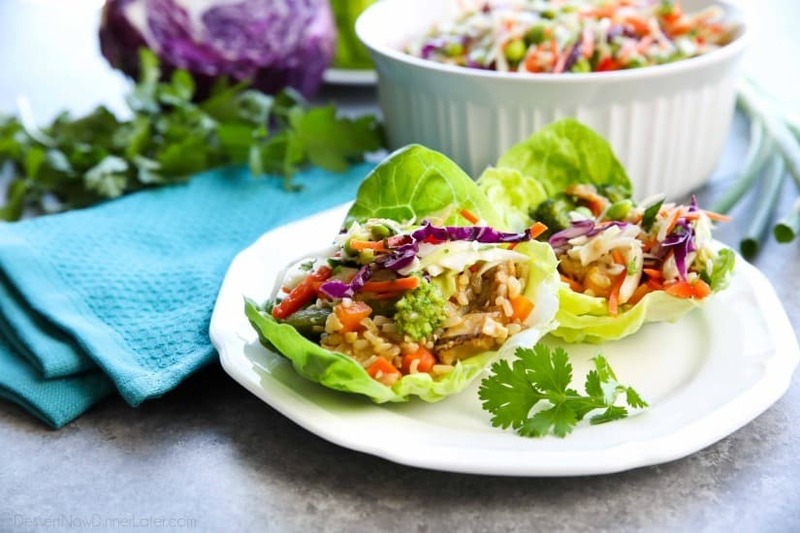 Teriyaki Chicken Wraps with Asian Slaw - Dessert Now, Dinner Later! 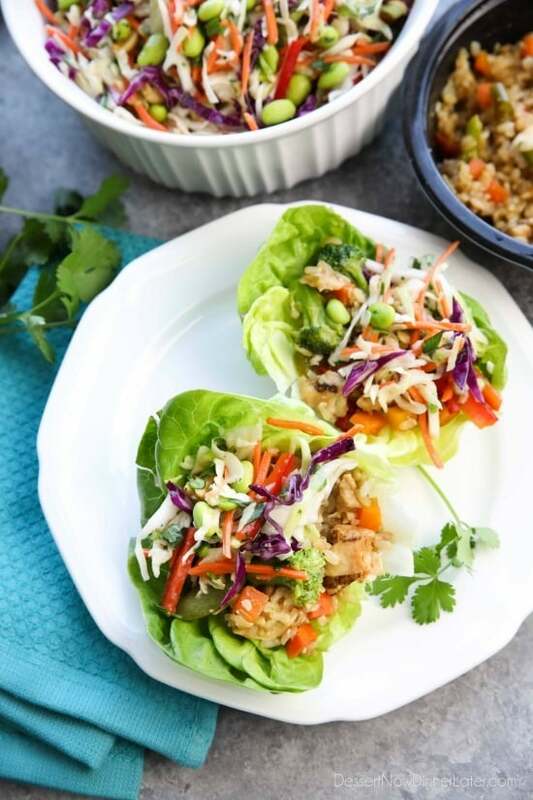 Whip up these Teriyaki Chicken Lettuce Wraps with Asian Slaw in no time for an easy family dinner with insanely tasty flavors! *This is a sponsored conversation written by me on behalf of Kroger (@Krogerco). The opinions and text are all mine. Dinner time is usually during what I call the “witching hour” because I’ve just brought the older kids home from school, I’m trying to help them get their homework done, keep the toddler happy, and get dinner started, all while waiting on Dad to get home from work. It’s slightly chaotic, to say the least. 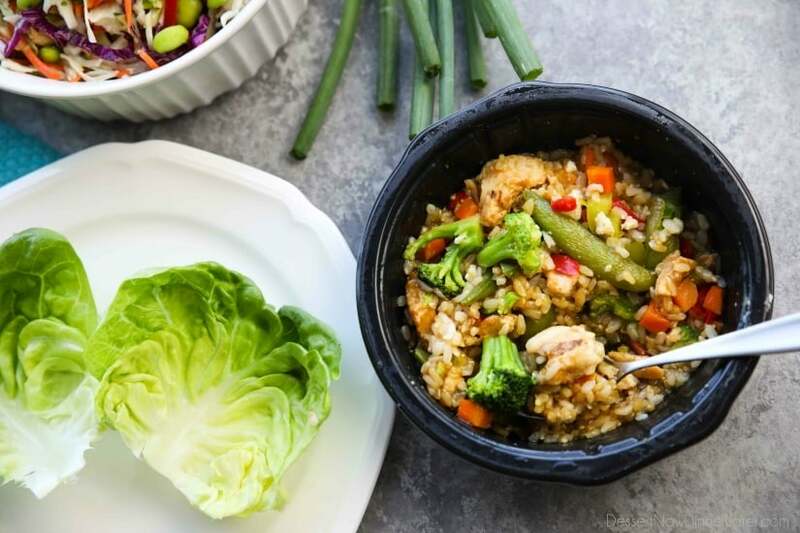 All I had to do was heat up the teriyaki chicken meal in the microwave and throw it on some lettuce cups. 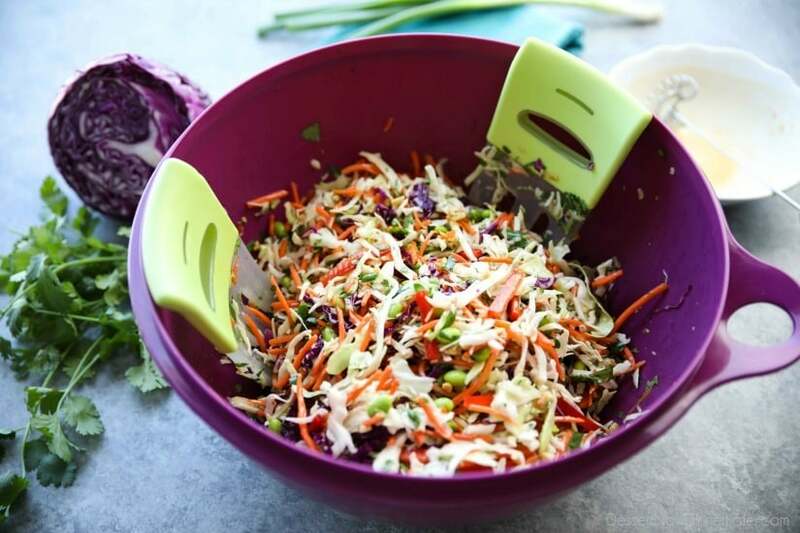 To freshen it further, I whipped up a quick Asian slaw using some produce items, and some steamable shelled edamame from the freezer section. The ginger-peanut dressing for the slaw melds really well with the teriyaki sauce from the chicken and rice dish. 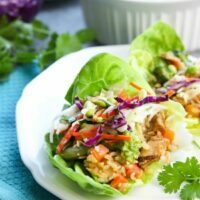 These Teriyaki Chicken Wraps with Asian Slaw came together quick and were something I was proud to serve my family. 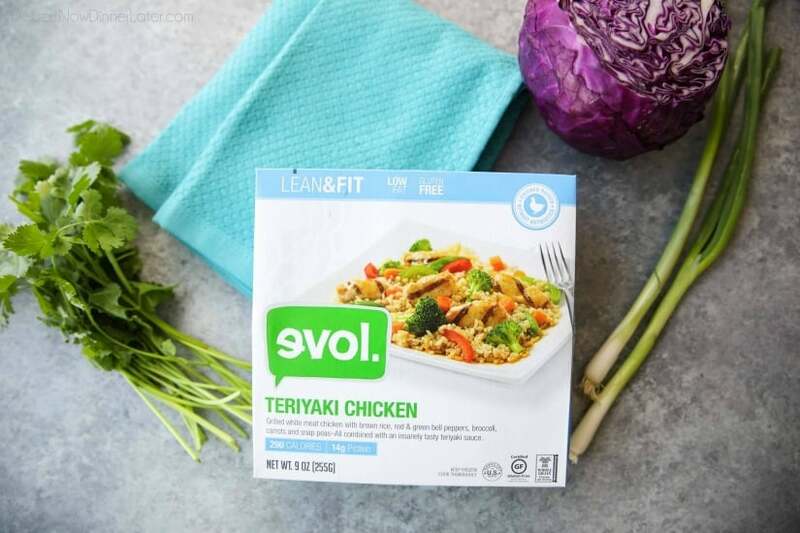 Next time you’re down the frozen aisle, don’t just pass by those boxed dinners — grab one, or two. Meal planning is a cinch when half the work is done for you. 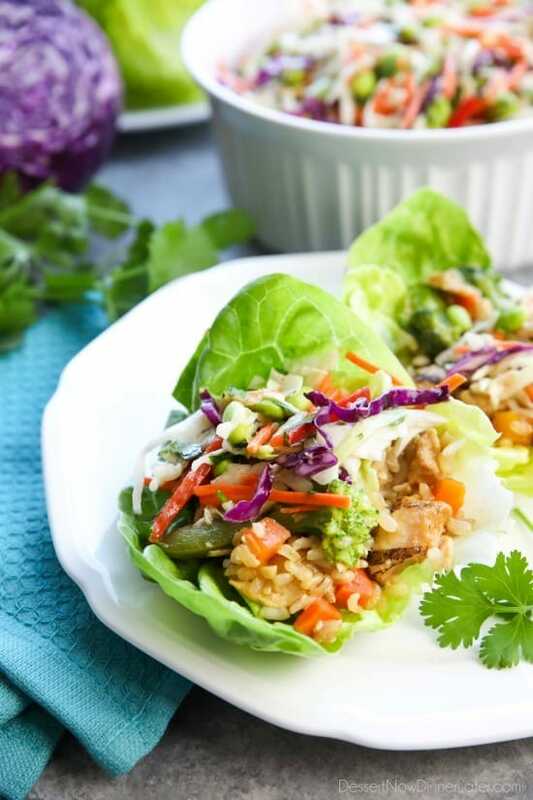 You can even create something new and delicious that your family will love like these Teriyaki Chicken Wraps! 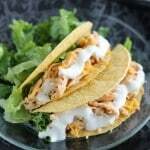 Check out these Freezer Fresh Ideas from @Krogerco to get you started! What do you do to make dinner prep easier? Whisk dressing ingredients in a large bowl until combined. Set aside. 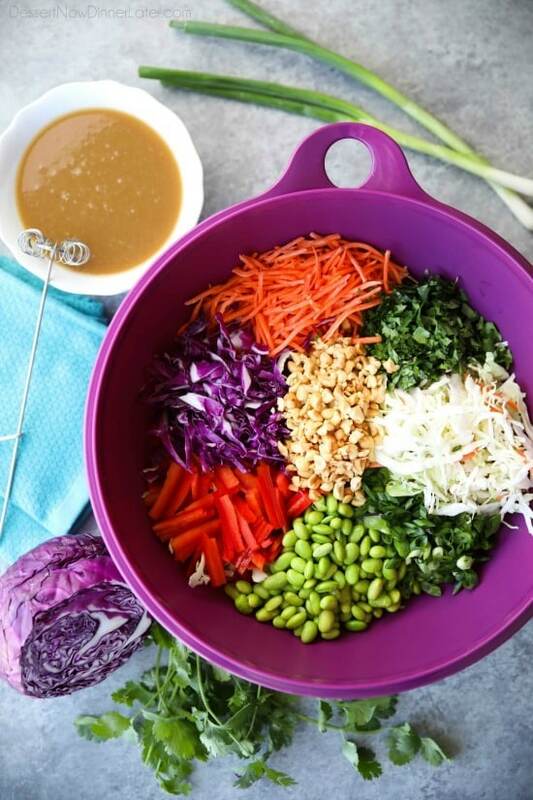 Combine slaw ingredients into a very large bowl. 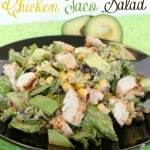 Toss with dressing until evenly coated. Let sit for 10 minutes to soak up dressing. Taste and adjust seasoning if needed (i.e. more salt). Microwave teriyaki chicken meals individually according to package directions. 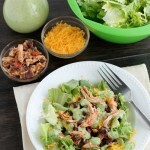 Spoon teriyaki chicken mixture onto lettuce leaves. 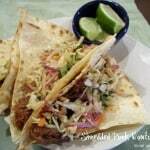 Top with slaw. Enjoy!